From 2009-2011, I organized yearly social story events that mashed up the Star Wars universe with the SXSW interactive conference. 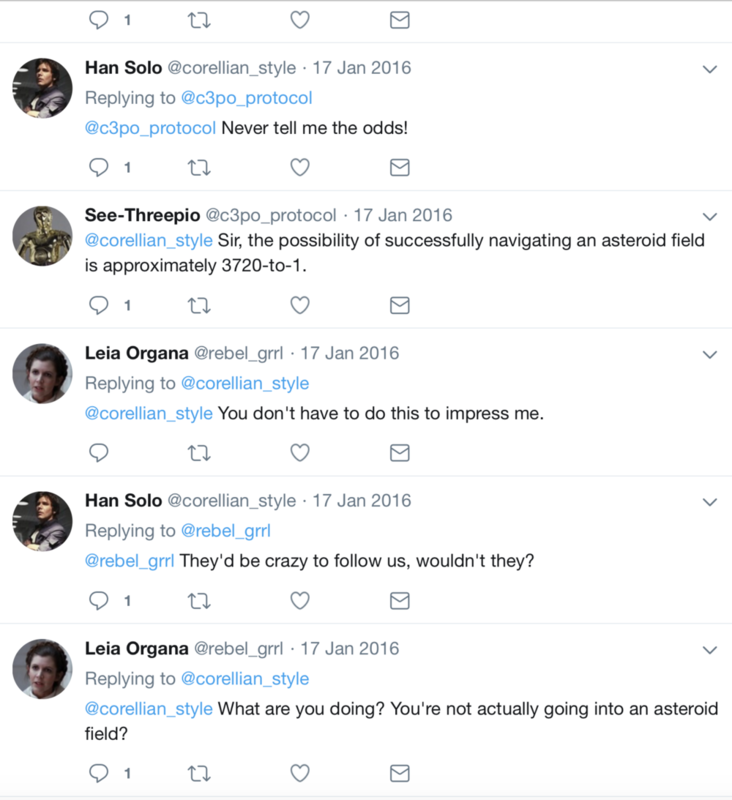 A cast of twenty performers used their Twitter accounts to re-enact the attack on the Death Star. After the end of the 90-minute experience, the #SXStarWars hashtag trended for two days. A complete Twitter adaptation of The Empire Strikes Back using 65 different Twitter accounts to represent all the characters, adapted from the movie script with additional material from the radio play. A fictional SXSW-style conference held in the Star Wars universe. Participants were invited to share their individual experiences and describe the panels, parties, and events they attended.